The annual Boy Scout Golden Eagle Banquet is scheduled for Tuesday evening at 6 at First United Methodist Church. 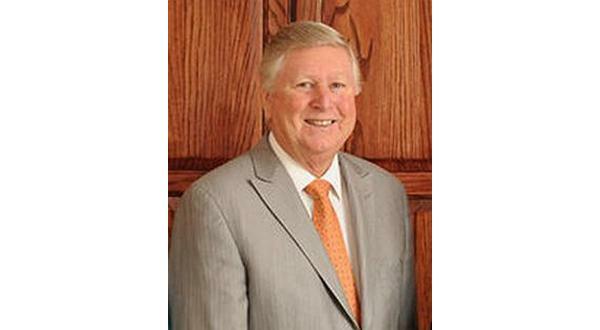 Baxter Regional Hospital Foundation executive director and local philanthropist Barney Larry will be the guest of honor as he will be the recipient of the Golden Eagle Award. The Golden Eagle Award is given each year at the banquet to outstanding community leaders for their service regardless of whether they have a scouting background. Dr. Ray Stahl recently visited with KTLO-FM host Bob Knight as a representative of the Boy Scouts, and he says the local troop is honored to be recognizing Larry this week. In addition to honoring Larry, the local scouts will showcase their work, and attendees will able to support the troop through a fundraiser. Stahl says the Twin Lakes Area has an active contingent of local scouters. The evening will begin with a social time at 6. Dinner will be served a half hour later, and the program will follow. Tickets are free and can be ordered by contacting Christian Swaim of the Westark Area Boy Scout Council at 479-782-7244.